IoT technologies have been the toast of business stakeholders and CIOs in both B2B and B2C environments. Of late, there has been an increased deployment of IoT solutions to power digital transformation initiatives to enhance operations, revolutionize customer relationships and differentiate product and service offerings. Gartner Research projects the number of connected devices through IoT to reach 14.2 billion in 2019 and 25 billion by 2021. In addition, industry estimates predict that the price of IoT sensors will come down in 2019, to enable more companies to deploy them to gain competitive gains in retail, health care, manufacturing and other industries. IoT technology is progressing at a breakneck pace and industry experts believe that it will continue to do that throughout 2019. 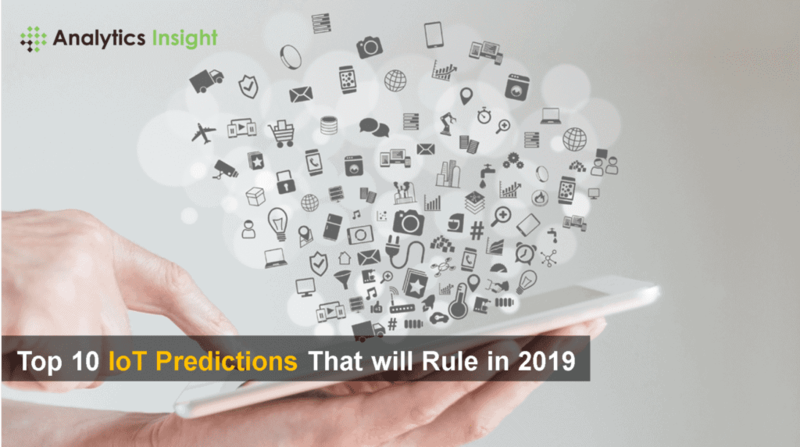 Here are the 10 IoT predictions that will rule the technology space in 2019. The huge increase in the number of IoT devices that connect multiple devices will lead to an accompanying rise in security vulnerabilities. As the vulnerability increase, IT will lead to more attacks with more damage, in everything from high-security government and corporate installations to smart homes. 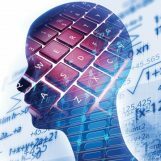 Industry experts believe that in 2019, companies will continue to sell IoT data through a practice called as Infonomics. According to Gartner, Infonomics will be an important component of many IoT systems by 2023 and appliance manufacturing companies may sell IoT data not only for the additional revenue but to prove that their products work well. For example, industries can mine data from smart water sensors, to detect problems in water maintenance leaks. In the coming years, many cities would be developing IoT services to fuel the smart city initiatives. For instance, Cary the seventh-largest municipality in North Carolina uses IoT data to connect traffic lights to Salesforce’s customer relationship management (CRM) platform to alert utility companies at the event of the lights going out. San Diego in California uses automated street meters and intelligent lighting powered by GE (GE’s IoT platform) which enables the smart city implementations in San Diego and incorporates an intelligent node “CityIQ,” embedded with multiple sensors for traffic management. In 2019 and beyond, IoT will provide valuable insights to improve food safety. Early adopters of this technology include cold food storage operator Lineage Logistics, which offers hybrid cloud platforms. Lineage Logistics is working with AT&T and ndustrial.io to keep food safe and have a long shelf life. Smart meters from industrial.io with 1,000 sensors with connectivity from AT&T IoT help businesses measure humidity and temperature in cold storage facilities. IoT will enable companies to use reports, heating maps and alerts to see data on the temperature and environment in food storage facilities to ensure food safety. Near-real-time imagery with near-real-time data will provide a 3D view of a business’s processes. Companies and City Corporations adapting to video sensors as part of their IoT strategy will be powered with an enhanced ability to improve operations thereby saving time and money, and increasing public safety in the case of smart cities. In 2019, expect inspection-as-a-service and surveillance-as-a-service models to gain traction with a new wave of multi-purpose IoT devices that will include cellular-enabled cameras. IoT data will be increasingly used to help automate customer service, improve sales efforts and provide a superior customer experience through customer relationship management (CRM) software. A basic scenario will be an IoT device which will notify companies in the case when they sense customers are having a problem. This could have wider applications ranging from appliance-style products to utilities, such as cable services. The IoT device will alert the utility’s service desk software before the complaint or the concern is reported. If you were wondering it is all about the self-driving automated cars then you are here for a shock! Tractors and farm equipment, drones, heavy machinery for things like mining and robots will lead the first wave of automation. While self-driving cars may eventually be a common sight in roads, that reality is still many years away. Cities are becoming smart in a bid to improve the quality of services and increase their operational efficiency, but many are failing to secure their communication infrastructure, sensors and connected devices to assure citizen privacy. In March 2018, a ransomware attack crippled Atlanta for days which led taxpayers lose close to $17 million, even after warnings were issued on several occasions that their systems were vulnerable. In 2019, expect more targeted ransomware attacks against vulnerable components of smart-city implementations which will cause disruptions to citizen services forcing cities to invest in cybersecurity measures to minimize the risk of further attacks. 2019 and years beyond that will be marked with valuable data sharing across partners and vendors. In the future, companies will be in an environment that allows manufacturers, partners, vendors and other third parties to share data and insights from multiple information sources in a trusted and highly-secure manner. The trends point to advanced analytics and data sharing which will be key to maximizing the value of IoT. Move over 4G now it’s the time for 5G as low-cost internet and speed redefines connectivity. Currently, IoT devices rely on low-data-rate, low-powered networks. But with the rollout of 5G networks, IoT devices will have a big effect on high-end IoT applications which are linked to virtual and augmented reality (VR/AR), robotics, automation, artificial intelligence and machine learning (AI/ML) algorithms.